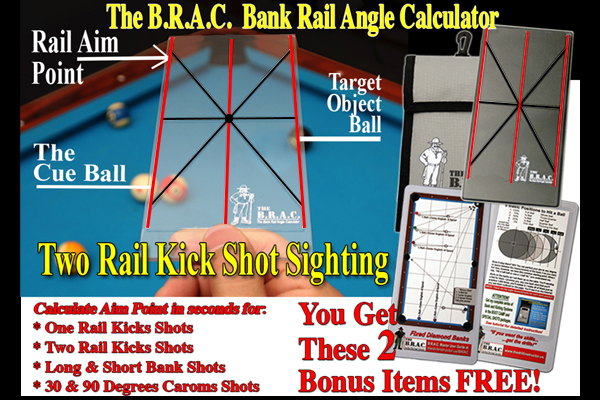 Included is a video lesson showing you how to use your Bank Rail Angle Calculator. What is B.R.A.C. - Bank Rail Angle Calculator Technology? I can really recommend this product and the drill instructor goes out of his way to make sure you are a happy customer! I had a question about the product as I didn't understand the concept of the 'mirror' for 1 rail kicking. Dominic went out of his way to explain it for me, together with some other useful tips.